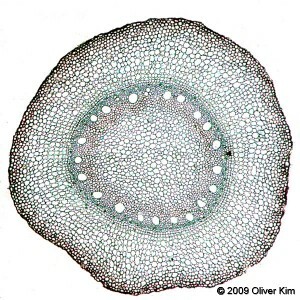 The image shows a cross-section of Zea mays, maize, a monocotyledonous plant (“monocot”). 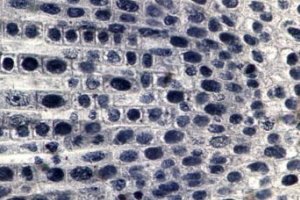 Epidermis, endodermis and vascular tissue is clearly visible. This is another panorama photomicrograph, assembled from four individual images.